If you read the news on December 14th, you probably saw multiple newspapers and tech geeks freaking out about the repeal of net neutrality. If you’re confused about what exactly that means, don’t worry because it will all be explained. Net neutrality is the principle that all of the content on the internet should be accessed without discrimination, meaning ISPs (internet service providers) must treat all digital content equally. These rules, established in 2015 under the Obama administration, prohibited internet companies from charging extra fees for fast browsing speeds and for viewing specific sites. Net neutrality also prevents ISPs from throttling websites, which means they can’t make website pages load slower or block certain content altogether. To get an understanding of how the American public feels about this issue, the FCC (the Federal Communications Commission) opened a public forum on their website and invited people to comment either their support or opposition on the then-proposed repeal of net neutrality. This forum was opened to the public from April 27 to August 30, where the FCC site received about 21.7 million comments. This flood of identical comments may have been caused by people using general comment templates found online. Yet that doesn’t explain the “tens of thousands of comments that came in at the same precise moment,” as stated by Pew. 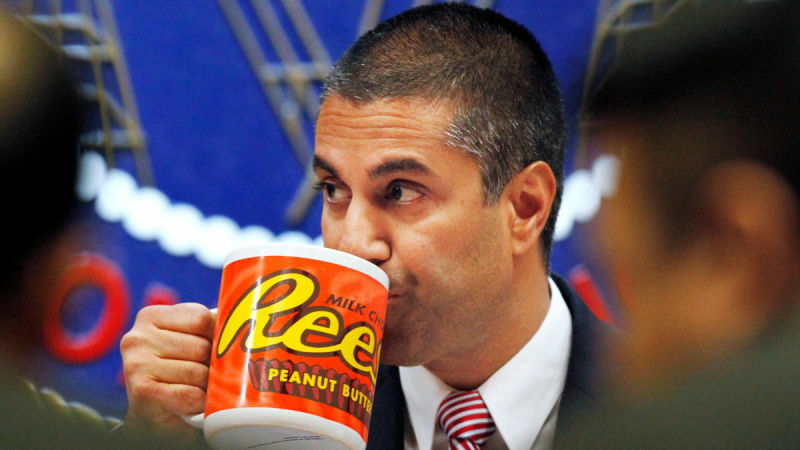 As a result of bots originating from fake Russian email addresses tainting the credibility of the online comments, the FCC largely discarded the majority of the feedback they received. This decision begs the question if the public forums on government websites should be improved to properly screen comments to ensure legitimacy and to accurately gauge the public’s opinion on an important issue. 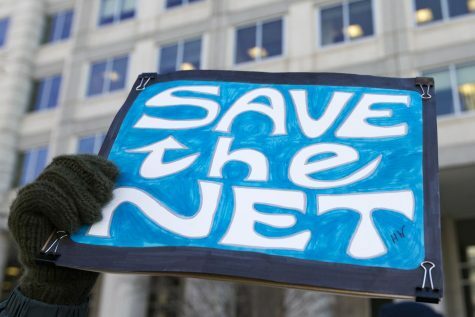 The reaction to the decision was swift, with multiple state representatives and grassroots organizations quickly organizing to sue the FCC as well as moving to introduce legislation in Congress. “Numerous Democrats on Capitol Hill called for a bill that would re-establish the rules, and several Democrat state attorneys general…said they would file a suit to stop the change,” reported New York Times writer Cecilia Kang in an article published shortly after the announcement of the repeal. A lobby group representing companies such as Facebook, Google, and Netflix announced that they would join the fight to keep net neutrality regulations. A protester holds a sign outside of the FCC headquarters in Washington the day before the vote on December 13, 2017. The reaction to this repeal is strictly split down partisan lines, with Democrats mobilizing to fight the repeal while Republicans are largely supportive of the FCC decision. The New York Times helpfully lays out the reactions from partisan writers in this post a day after the decision. As for us consumers, you probably won’t notice an immediate change in your internet service. But the FCC decision does open the door for significant effects in the near future. Big broadband companies have promised to not change their customers’ internet experience, probably due to the inevitable consumer backlash and their fear of lawsuits. Companies will probably stick to these promises for the next year or so, once all of the legal challenges are addressed. But after that, significant changes could come over time.